Sam Trigg in action for the University of New Mexico (picture courtesy of Mike Mulcahy/UNM Athletics). 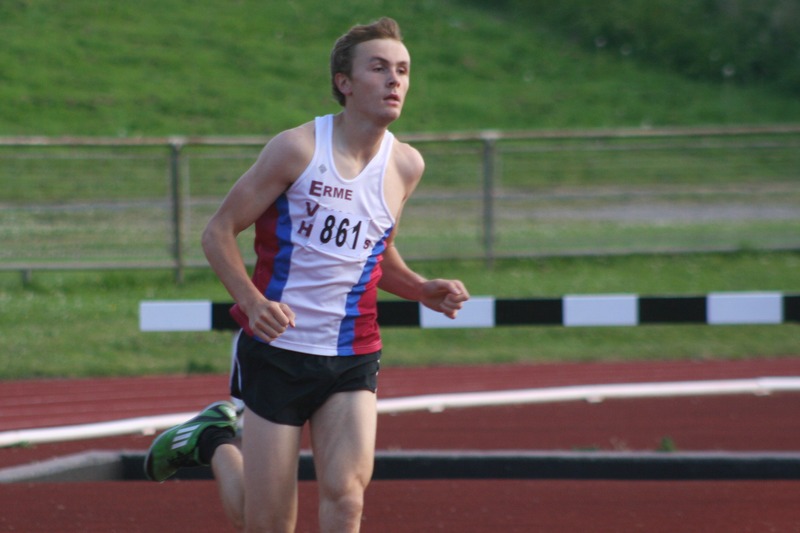 ERME Valley Harriers athlete Sam Trigg smashed his personal best on the way to qualifying for the NCAA Championships in America. Trigg, who is studying for a Masters degree at the University of New Mexico, leaped an impressive 16.38m to finish fourth in the NCAA West Division One preliminary round at the Mike A Myers Stadium in Austin, Texas. The top 12 athletes progressed through to the national finals in Eugene, Oregan, which will be held between June 7 and June 10. Trigg’s jump was more than 30cm further than his previous legal best of 16.05m and was well over the World University Games qualifying mark. It also moves him back up to fourth in the UK senior rankings. 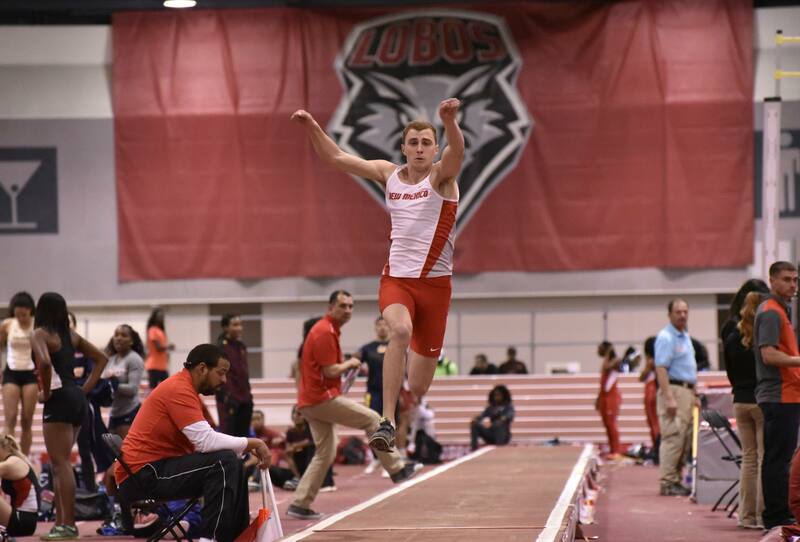 Trigg was recently named as one of three University of New Mexico track and field students to earn Academic All-District honours. He could yet make the Academic All-America athlete list. In the NCAA East Division One preliminary round in Lexington, Kentucky, Trigg’s Erme Valley team-mate Will Battershill ran his second fastest 3,000m steeplechase time. The teenager, in his first year of studying at Harvard University, ran 9.00.25 on his NCAA qualifier debut. Earlier this month, he had run 8:55.82 at the Eastern Colleges’ Championships. In a top quality NCAA heat in Kentucky, Battershill finished eighth, with only the top three and the three fastest losers booking a place in Eugene from the three heats. However, Battershill was third freshman athlete from all three heats. Meanwhile, on Friday night, City of Plymouth’s David King finished third in the 110m hurdles at the Manchester CityGames. King finished with the same time (13.66 seconds) as Aurel Manga, but the Frenchman was given second behind Spaniard Orlando Ortega, who won in 13.50 seconds. All the athletes were down on their best times, but King showed he can match Europe’s best. Afterwards he said on social media: “Manchester was amazing. Thanks to all those that came out to support. Elsewhere, Tamar Trotters athlete Mike Wilsmore finished 23rd at the British Road Mile Championships in Westminster in the time of 4:19. The race was won by Belgrave’s Nick Goolab in 4:04.